One of the characteristics that tie in all Kal Koncepts/Air Syndicate paintjobs are the "Little Guys". 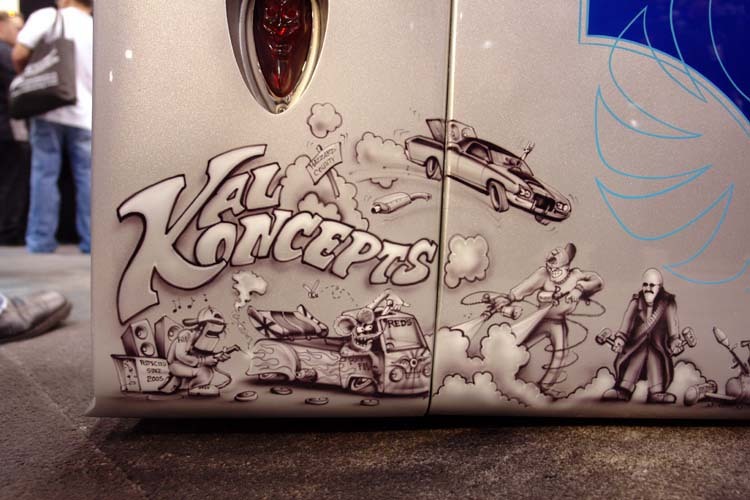 This mini murals started back in the early 90's, and have been getting into trouble on the back of our paintjobs ever since. 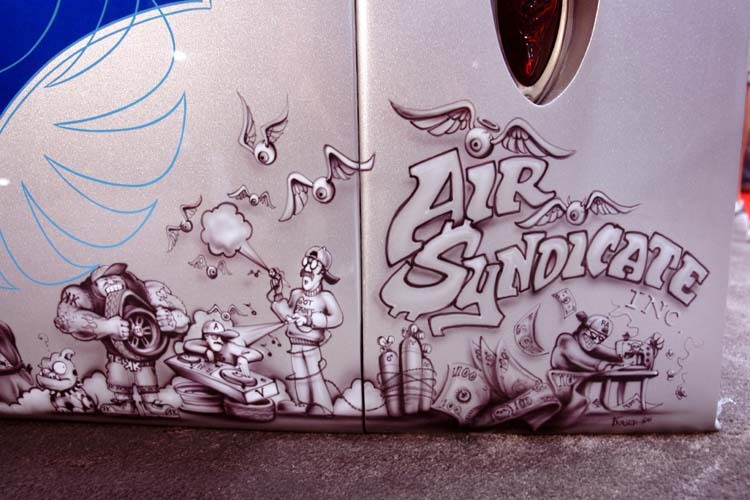 Being the smallest truck we have ever kustomized, it is appropriate that it get the biggest, "Little Guy" mural. Everyone depicted in the mural helped on this truck in one way, or another. Is there any hidden meanings? Hehehh. Always.